After photographing a band from Chicago at the Empty Bottle, two girls came up to me and asked me about my camera. I spoke with them briefly and they informed me they were not from Chicago. They disclosed that they had driven all the way from Idaho to see the band The Yolks. They enthusiasm and love for music was so apparent in their behavior and facial expressions. I asked to take a few photos of them. 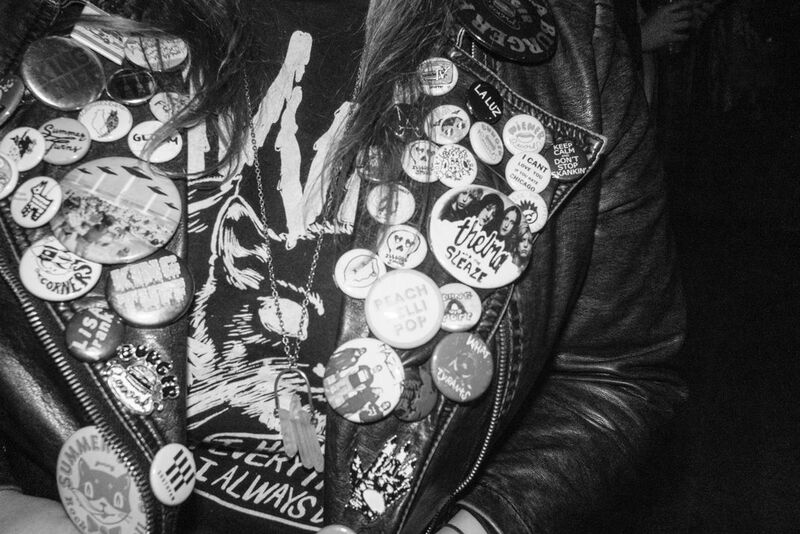 This one is a close up Katie's leather jacket and punk pins. Date Uploaded: Oct. 5, 2016, 3:24 p.m.